Tracy joined Auckland Property Management in March 2017 as one of our front desk receptionists, then became our Commercial Assistant/Account Administrator in February 2018. Tracy graduated from the University of Auckland and obtained a Bachelor of Property. After spending eight years studying and working in New Zealand, Tracy went back to China in 2011. 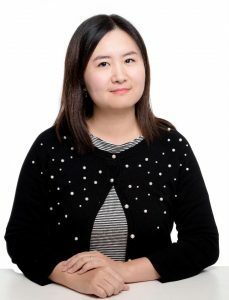 She joined PricewaterhouseCoopers China as a team secretary in Forensics Department and was quickly promoted to senior secretary after two years. She was also appointed as the personal assistant for one of their Forensics Partners. In 2016 Tracy and her family returned to New Zealand. Her years of working experience in administration, together with real estate knowledge gained from her property degree, Tracy picked up things very quickly. Tracy is very friendly and patient and she works very well with all kinds of people and maintains good relationships in her network. She’s always willing to help if you ever need her. Her abilities to speak both English and Mandarin has helped her to serve a wide range of customers. Tracy loves to spend her spare time with her family, especially with her beautiful daughter. Her other hobbies include watching movies, travelling, and shopping.